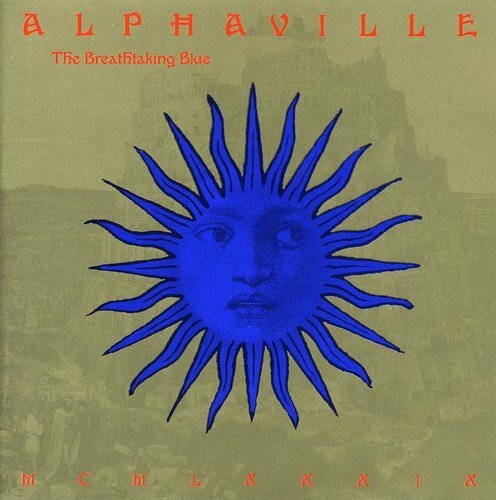 I will admit that I thought Alphaville were a one hit wonder from back in the day; that they were literally only “Big in Japan” and that was it, so when the chance came up to listen to an album of theirs from 1989, an album that didn’t have that song on it, I jumped at it to see what I had missed. Summer Rain is very Black/Divine Comedy, rich vocals over a smooth jazz-swing backing, heavy with toms and chilled piano. Romeos is much more electronic 80s sounding, all synths and electro-drum pads, hints of Giorgio Moroder, but again with Marian Gold’s vocals adding a velvety overtone. Another change of tone for She Fades Away and we’re all about the gritty streets of detective noir with a walking pace double bass underpinning the synth. The Mysteries of Love showcases the range of Gold’s vocal as it carries a complex melody over a slap bass/synth pad backing before Ariana really picks up the pace to provide poppy peppy rock and roll fun in a huge contrast to what has gone before. Heaven and Hell heads back to the smoky jazz club sound with brushed drums, dirty brass and lazy double bass backing up a quirky lyric for what is probably my favourite track on the album. Then For a Million sets up a superb guitar intro that settles into a nice piano which, just on the verge of getting a bit boring, kicks up into a superb jazz style solo with added vocoder that brings the attention back. It’s all about the brass for the intro to Middle of the Riddle (which is always a good thing) and I’m wondering if I’ve heard this one before or if it just reminds me of something else as it has a real storytelling feel. Patricia’s Park is a gorgeous instrumental that has an almost orchestral sound to it that was very reminiscent of the Madonna hit of the same year, Dear Jessie, only in a pentatonic scale which pulled it back to the far east. And finally, there’s Anyway, which rounds off the album with another jazz club swing number, complete with gorgeous muted trumpet, that links back very well to what seems to be the underlying “sound” of the album. Yes, this album surprised me. It’s nothing like that one hit wonder and it does make me wonder what I’ve missed with their other six albums (this was their third of seven). As I said at the start, if you were a fan of Colin Vearncombe or Neil Hannon, I really think you’d enjoy this. It’s a mellow, late evening album that’s interesting enough to hold the attention and get the feet tapping but doesn’t require too much effort to enjoy. 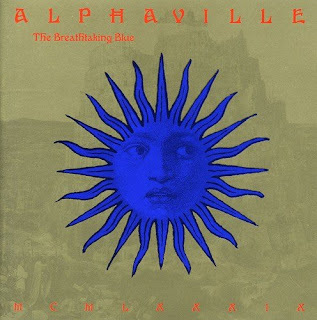 The backing is smooth, Gold’s voice is sublime and Alphaville definitely deserved to be bigger in many more places than Japan.